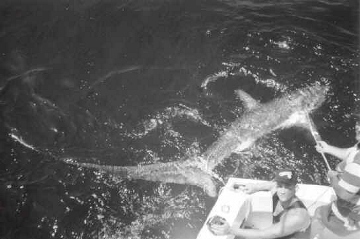 There are 3 species of threshers. The other 2 species do not enter the New England area. and the pelagic thresher, Alopias pelagicus, which is not in the Atlantic Ocean. The threshers are one of a few shark species considered to be warm-bodied. 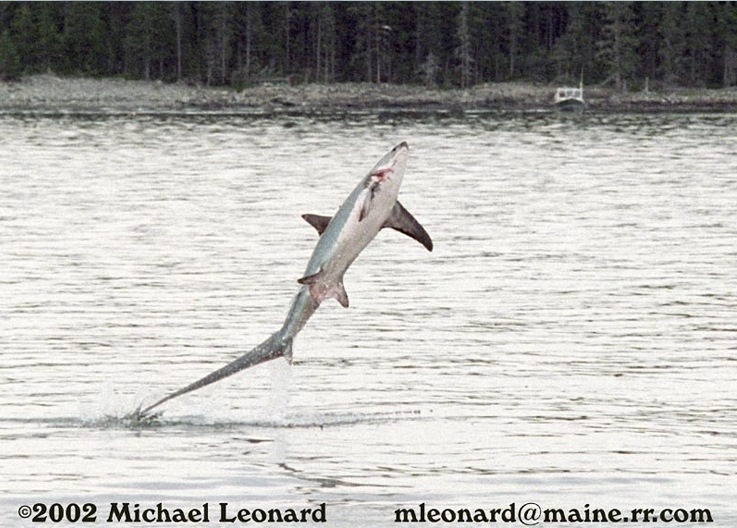 Being warm- bodied translates into being more energetic in cooler water than a cold blooded shark species. separate the threshers from other shark species. Harbor, Maine, when he took this great picture. witnesses to the event. The thresher is free jumping something threshers naturally do. long tail that it uses to strike or thresh fish. to be an area with many threshers. that are on the East Coast of the U.S.A.
thresher, is not in the Atlantic Ocean. get a far north as N.Y.
might come into our area. 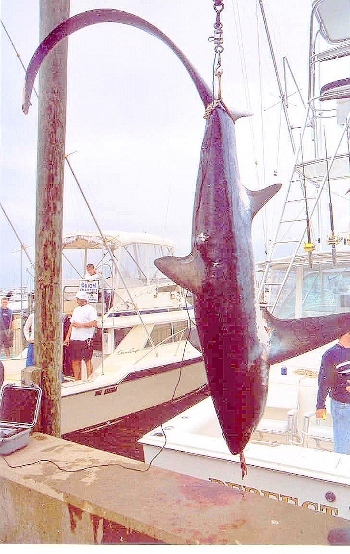 strongest shark on rod and reel . a regular occurence with longliners.